The brilliantly coloured flowers of Corymbia “Summer Red” photographed recently at the Botanic Gardens. AUSTRALIAN native plants are in huge demand overseas, especially from florists in the UK and Europe. Large quantities are shipped by air to meet this ever increasing demand, with the long-lasting qualities and unusual flower form of banksias being the most popular. The interest started in the 1980s. At the time I was consulting to a large, wholesale nursery in the south of England where it was starting to propagate Aussie plants. The nursery saw the huge potential in Australian native flora. With climate change and warmer summers in the UK, particularly in southern England, the interest for our plants is increasing. 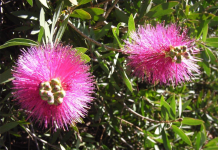 LOCALLY, for lovers of Australian natives, the Growing Friends of the Australian National Botanic Gardens is having a sale at the Botanic Gardens, 8.30am-11am, on Saturday, April 7. All of the several thousand plants on sale are propagated from stock growing in the gardens, a guarantee of their suitability for the district. 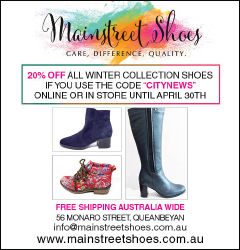 The stock list is available a week before the sale at anbg.gov.au/friends. This is a serious fundraising activity for the Friends to continue their work in the gardens. An example being the hugely popular new tree house. 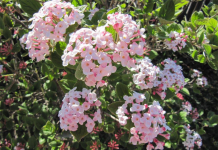 AUTUMN is the ideal time to plant natives as the days cool and there is some recent rain to soften the soil. It’s also a good time to see many native plants at their best, particularly the huge banksia family, named after the colonial botanist Sir Joseph Banks. 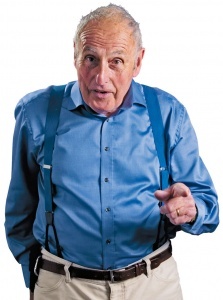 “The genus banksia must be considered the symbol of the Australian bush, all endemic to this country with one exception of one species, Banksia dentata spilling over into New Guinea. The greatest diversity of banksia is found in the south-west of the continent where 157 species are recognised. The diversity of leaf shape alone makes them the envy of floral artists,” write Wrigley and Fagg in their authoritative book “Australian Native Plants”. Callistemon “Endeavour”… for a formal colourful hedge. 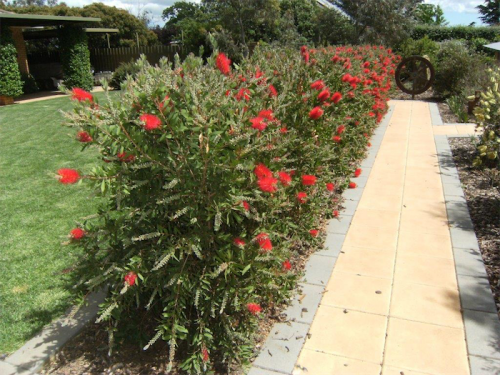 WOULDN’T you prefer the vibrant colour of the native plant Callistemon “Endeavour” over the dull over-use of photinia or viburnum when it comes to growing a formal hedge? 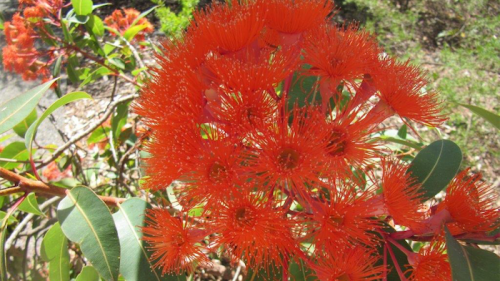 Or the bright flowers of the Corymbia “Summer Red”? To clarify some confusion on the name Corymbia, Wrigley and Fagg say: “This was separated from Eucalyptus in 1995 and now includes bloodwoods, ghost gums, spotted gums and the iconic red-flowering gums of WA. There are 96 species of which the majority occurs in warmer climes. 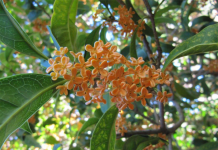 They may be identified by the well-displayed bunches of flowers at the end of branches”. It’s planting time for all native plants. Maxicrop Seaweed Plant Nutrient will encourage new, strong growth in native plants (and all other plants). Before walking around the Botanic Gardens, collect the “Flowers, Fruit and Foliage” leaflet. It’s updated weekly with what’s in flower.